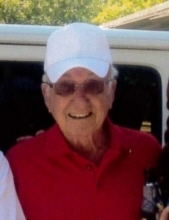 Bobby Dale Bentley, 82, of Fulton passed away at his home on Sunday, January 13, 2019. He was born in Callaway County, Missouri on May 2, 1936, the son of the late Samuel G. Bentley and the late Cecil O. “Jackie” (Ballew) Bentley Gallop. On November 3, 1954, Bob married Patricia “Pat” (Breid) Bentley who passed away on December 23, 2011. Bob owned and operated Bob Bentley & Sons Excavating. Bob cherished his family and friends and was always there to lend a helping hand. His huge smile was infectious to all that knew and loved him. He will be sadly missed by many. Bob is survived by his son, Chuck Bentley of Fulton; grandchildren, Gavin Bentley and Kylie Bentley; and several nieces and nephews. Besides his parents and wife, Bob was preceded in death by son, Robert D. “Bobby” Bentley. Funeral services will be held at 2:00 p.m. on Tuesday, January 22, 2019 at Maupin Funeral Home in Fulton with Pastor Mike Crowson officiating. Friends will be received from 12:00 p.m. until the time of service at the funeral home. Interment will be in Steedman Cemetery. Memorial donations are suggested to Steedman Cemetery, c/o Maupin Funeral Home, 301 Douglas Boulevard, Fulton, MO 65251. To send flowers or a remembrance gift to the family of Bobby Dale Bentley, please visit our Tribute Store. "Email Address" would like to share the life celebration of Bobby Dale Bentley. Click on the "link" to go to share a favorite memory or leave a condolence message for the family.